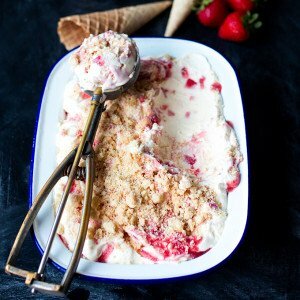 Strawberry Shortbread Ice Cream – Creamy, luscious no-churn ice cream, swirled with strawberry sauce and strawberry pieces, then sprinkled with crumbled up shortbread biscuits. 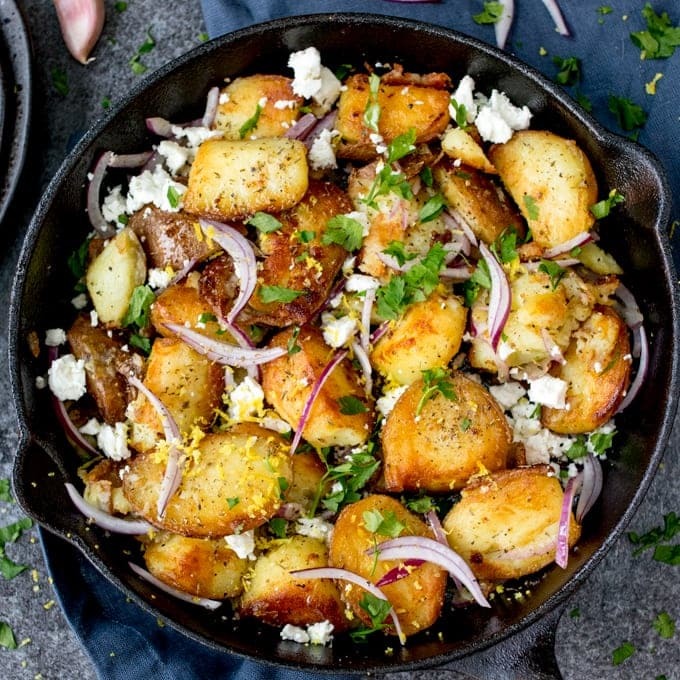 I love it when something easy-to-make tastes out of this world. Making multi-step cakes and desserts can be fun, but tucking into a bowl of something that tastes this good – after only 10 minutes of prep and a spell in the freezer – well, it almost feels like you’ve been let into a secret. and now that the kid are off school, I need some quick recipes! This time last year I had just finished my job in the IT world. I can’t believe a year has gone by already! During that time I’ve been working hard on the blog, my photography (check out one of the photos from this time last year – hopefully the improvement is apparent), and I’ve also started writing recipes for other people too. I’m not making a full-time income yet, but I’m getting there, and I’m thankful every day that i’m able to do a job that I love! 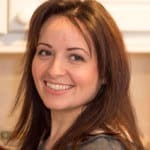 Looking back at last year, I was just about able to juggle writing a few recipes a week for my blog whilst keeping the kids entertained for the holidays. This time round I’m about 2 or 3 times as busy. I’m not quite sure how I’m going to fit it all in whilst spending time with the kids, going for days out and taking a few little holidays, but I’ll manage. 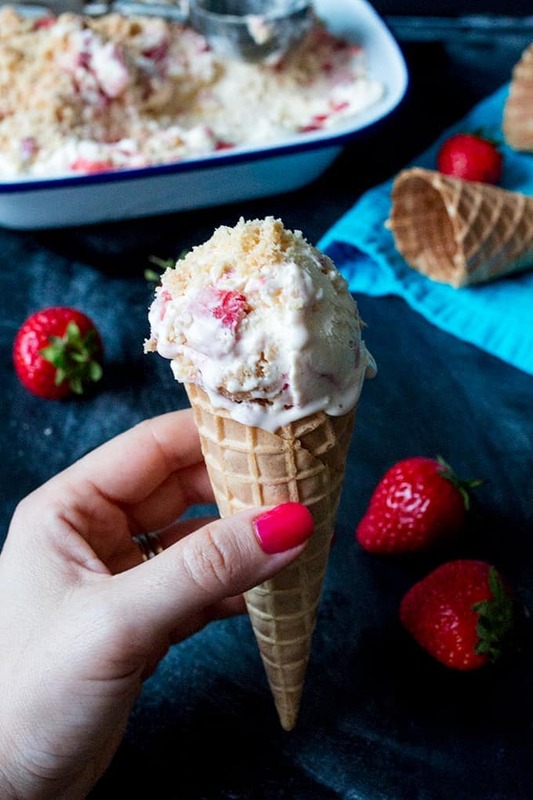 You’ll see I’ve used the strawberry sauce I shared on Wednesday to make this ice cream. That meant I had this ice cream mixed and ready to go in the freezer in 10 minutes. I haven’t actually shared any with the kids yet (Chris and I sat on the sofa scoffing it after getting the kids into bed) but I’ll try to save them some. Or maybe I’ll just have to make some more!! 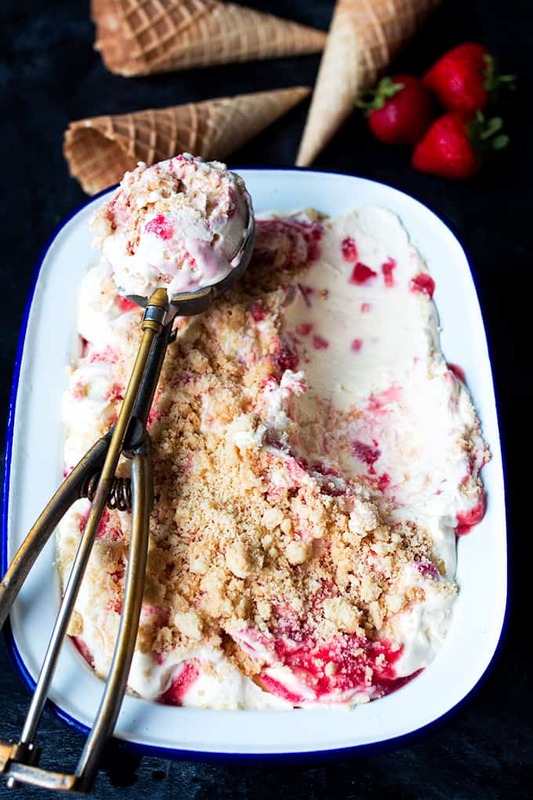 No-churn, strawberry shortbread ice cream - decadently creamy and delicious! Pour the condensed milk, vanilla extract and cream into a large bowl or food mixer. Whisk using the balloon attachment or hand whisk until thick (the mix should hold it’s shape when you lift the whisk). 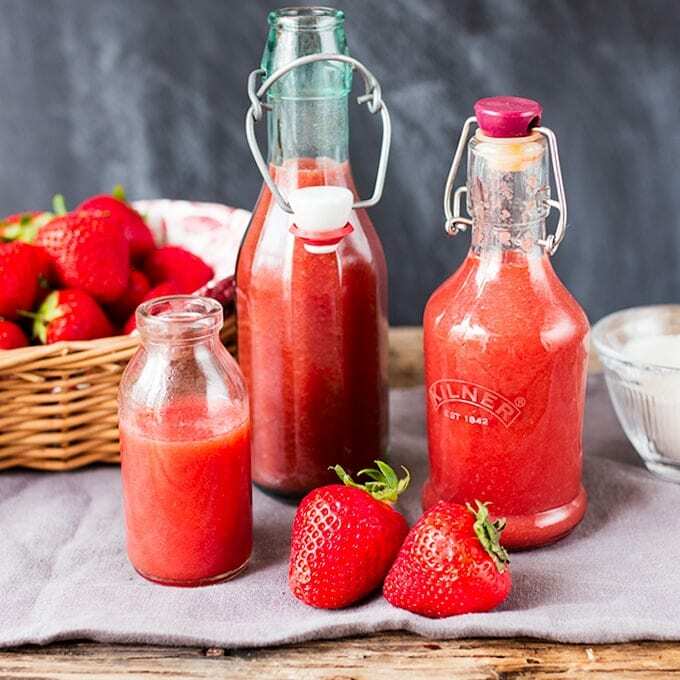 Gently stir in the chopped strawberries. Take a loaf tin/pie tin or similar freezable container and spoon 1/2 of the cream mixture into it. 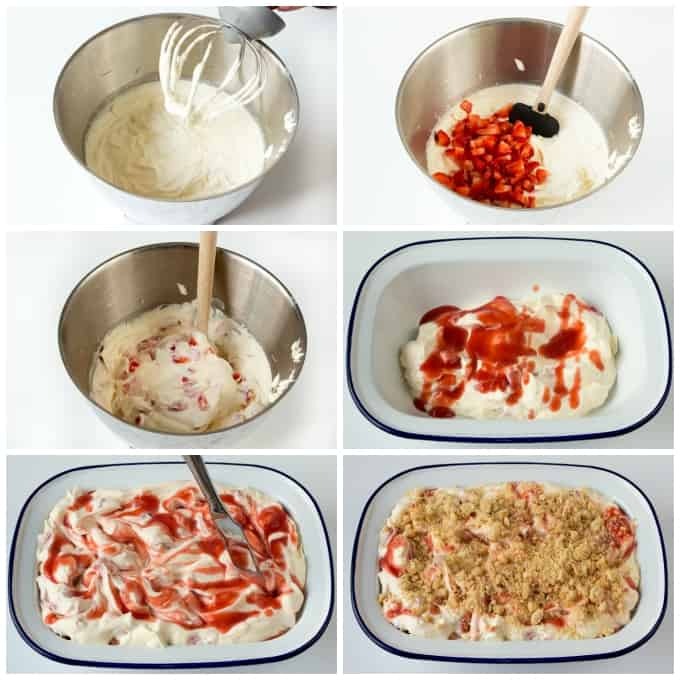 Drizzle on 1/2 of the strawberry sauce, then repeat with the remaining and cream and sauce. Swirl the mixture with the back of a knife – just enough to create a few swirls. 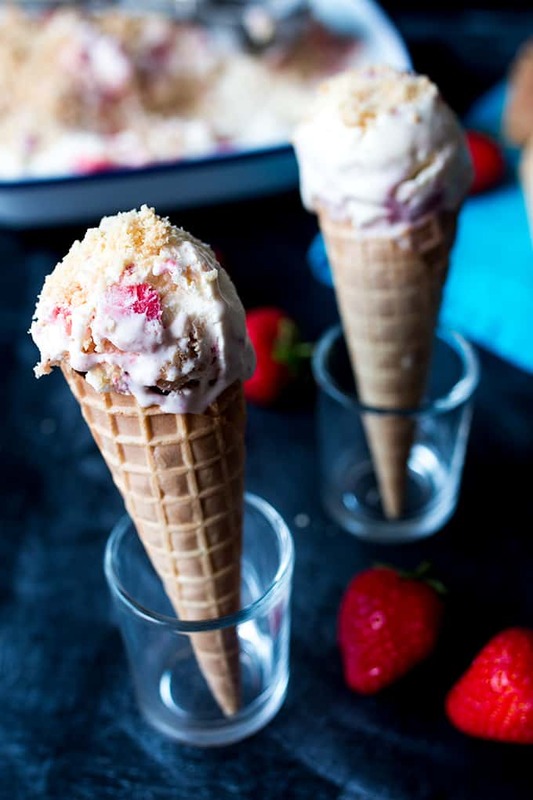 Sprinkle on the crumbled shortbread and place the ice cream in the freezer for at least 3-4 hours (cover with a lid or plastic wrap if freezing for longer). 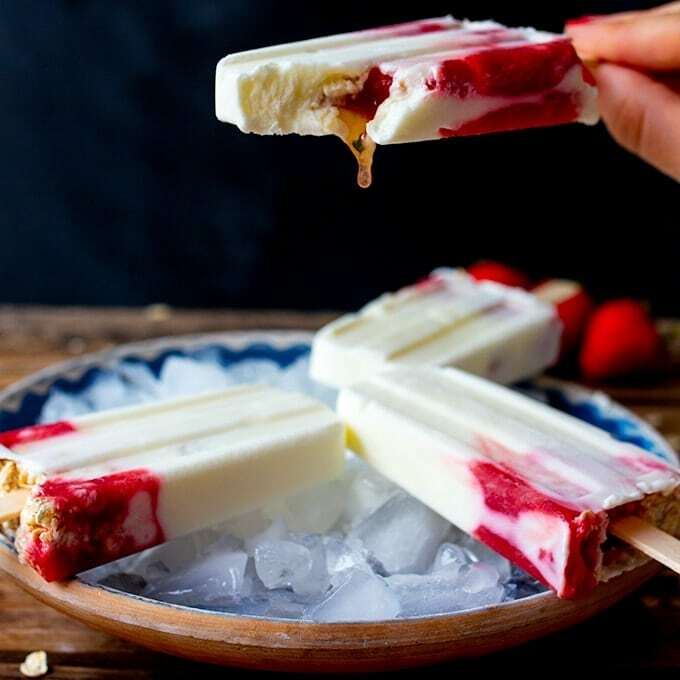 Take the ice cream out of the freezer about 15 minutes before you want to eat it – to allow it to soften. I replaced the strawberries with raspberries and raspberry sauce, but so tasty. Oh, this looks so delicious. I really need to make it now! 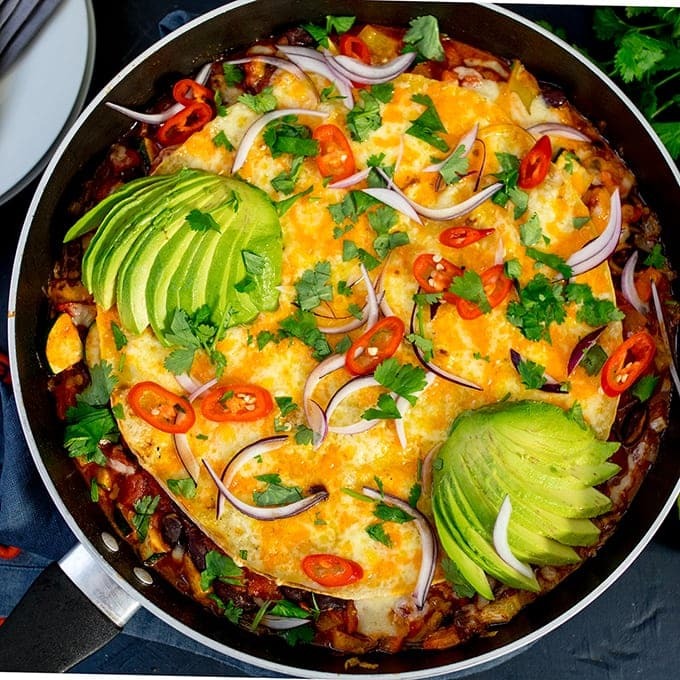 Hope you were able to save some for the kids 🙂 I’m really enjoying reading your blog, can’t wait to see your new recipe ideas! Love your site too, I’m still drooling over that croissant bread pudding! !